4″ x 3″. Cascades. 2009. 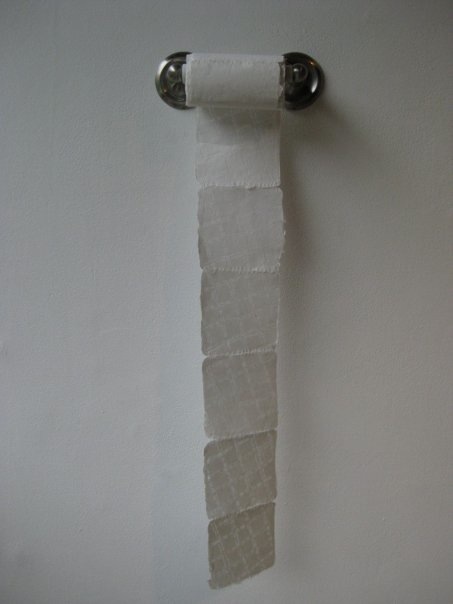 Using hand beaded replicas of existing toilet paper patterns as a watermark, I press individual sheets of toilet paper and sew them together to form rolls.